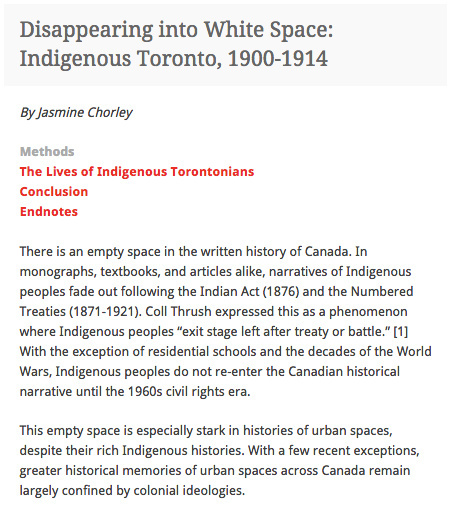 My paper Disappearing into White Space: Indigenous Toronto, 1900-1914 has been published on ActiveHistory.ca. Do take a look, and I look forward to any and all feedback. Next Next post: “Nation-to-nation”: What do Parties think it means?